Learn to choreograph and perform at a professional level by becoming part of the largest full-time contemporary dance programme in New Zealand. Participate in a diverse array of performances, ranging from solo and group work to commissioned works by guest choreographers. The Contemporary Dance major is the most established, full-time contemporary dance programme in New Zealand, and continues to develop a community of dance artists who contribute innovative choreography and performance excellence to the industry. Unitec's dance graduates are seen in all major productions throughout New Zealand. With a comprehensive programme covering technique, choreography, dance studies and digital dance, you'll gain the knowledge, tools and abilities to pursue the range of opportunities available to you as a contemporary dance artist. A rewarding and challenging experience that introduces you to an exciting and varied professional career in dance. Whether you create your own live work or dance on stage or screen, you'll be joining an artistic community that includes many of our graduates. A focus on live performance, including opportunities to both dance and choreograph. Daily studio practice under the guidance of experienced national and international industry practitioners. A close relationship with the dance industry and community. A chance to collaborate with other performing arts students; you'll share classes with actors, directors, writers, production design management and film and television students. With the emphasis on practicality, you'll spend up to six hours a day in the studio, developing your craft in a range of dance techniques including contemporary, ballet, muscle and bone, pilates, yoga, choreography, partnering work and improvisation. You'll also develop skills in dance and multimedia through creating and performing in dance for film. Live performance will be an integral part of your studies where you'll get to explore your technique and choreographic craft as an emerging practitioner. Taught by leading contemporary dance artists and choreographers, you'll develop numerous dance projects of your own. You'll choreograph and perform in dance works for theatre, events, festivals and film as well as gaining a hands-on understanding of funding and promotion activities. Technology also plays a key role in our learning environment. You'll gain practical experience in sound and music design, video editing, costume, lighting, props and scenery. Throughout your studies, you'll develop an understanding of dance histories and associated theories in our unique culture of critical studies. Alongside your future industry peers, you'll explore in-depth theoretical and critical thought, integrating theory and professional practice in an exciting cross-discipline environment. Around 100 people apply each year for the 30 places offered in Year One. All auditions will be held over Labour Weekend (late October). You'll be given clear information at the time of your application about how to prepare. From this workshop, the final selection of trainee dancers is made for the following year. Dance Practice 1A (PASA5221) 15 credits (0.125 EFTS) To enable the student to understand the relationship between fundamental theoretical concerns and choreographic and performance practice. This course focuses on collaboration and establishing the fundamental habits and methodologies appropriate for contemporary dance choreography and performance. Dance Practice 1B (PASA5224) 30 credits (0.25 EFTS) To enable the student to understand complex and multilayered aspects of the choreographic process and performance environment. This course focuses on establishing fundamental habits and methodologies appropriate to contemporary dance choreography and performance. Contemporary Dance Techniques 1A (PASA5225) 15 credits (0.125 EFTS) To introduce students to the fundamental theories, concepts and techniques of contemporary dance practice. The course focuses on building capability for dancers in a range of dance techniques and to build habits and attitudes required for the profession. Contemporary Dance Techniques 1B (PASA5228) 15 credits (0.125 EFTS) To enable students to apply the fundamental theories, concepts and techniques of contemporary dance practice. 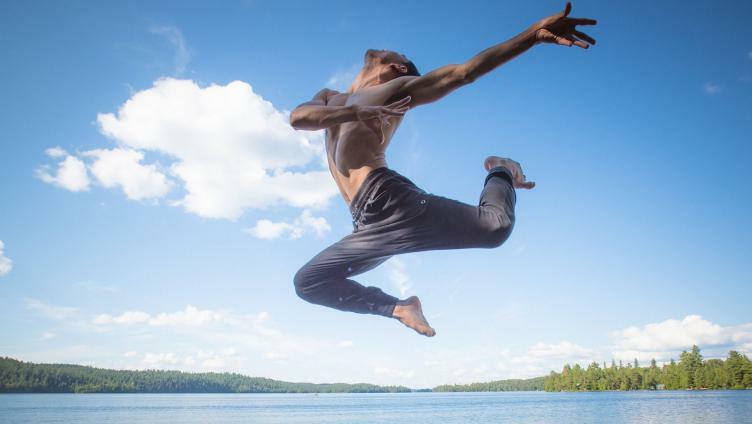 The course focuses on continuing to build capability for dancers in a range of dance techniques and to build habits and attitudes required for the profession. Storytelling, Myth & Ritual (PASA5901) 15 credits (0.125 EFTS) To enable students to develop a broad understanding of the major concepts of storytelling in terms of mythic constructs, rituals and symbols in an interactive multi-disciplinary learning environment. This course provides a foundation for the development of specialist Performing and Screen Arts literacies such as reading media texts and interpreting creative ideas among students from all disciplines of the programme. There is also a focus on the whakapapa of storytelling in Aotearoa placed within a noho marae learning environment. Professional Development 1 (PASA5902) 15 credits (0.125 EFTS) To introduce students to the basic professional practices associated with the performing and screen arts industries and their own professional development. This course focuses on building capability for students in self-management, communication and presentation, as well as academic literacies such as text analysis and academic writing. History of Dance (PASA5921) 15 credits (0.125 EFTS) To enable students to examine, reflect and discuss the historical development of dance languages and theories in order to situate themselves in a wider dance context. This course focuses on placing selected movements and developments of production and performance in the context of the student’s specialist discipline. There is a focus on experiencing professional art making in the community through field trips and site visits. Dance Practice 2A (PASA6221) 15 credits (0.125 EFTS) To enable students to gain a specific understanding and the confidence to experiment within the various strands of the choreographic/performance spectrum. This course focuses on enabling the student to gain an understanding of the whakapapa of New Zealand contemporary dance. Dance Practice 2B (PASA6222) 30 credits (0.25 EFTS) To enable the student to integrate complex and multilayered aspects of the choreographic process and performance environment. This course focuses on consolidating fundamental habits and methodologies appropriate to contemporary dance choreography and performance. Students will also continue to gain an understanding of the whakapapa of New Zealand contemporary dance. Contemporary Dance Techniques 2A (PASA6225) 15 credits (0.125 EFTS) To enable students to integrate somatic practice and intermediate theories, concepts and techniques as foundation of contemporary dance practice. The course focuses on the further development of specialist skills and the evolution of a personal methodology that will give expression to individual creative development and practice. Contemporary Dance Techniques 2B (PASA6226) 15 credits (0.125 EFTS) To enable students to integrate intermediate somatic practice and dance techniques as foundation of contemporary dance practice. The course focuses on the further development of specialist skills and the application of individual creative development and practice. Audience, Context & Interpretation (PASA6901) 15 credits (0.125 EFTS) To enable students to examine the ways in which the creator/performer communicates with their audience in an interactive multi-disciplinary learning environment which includes an artist hui at Te Noho Kotahitanga marae. This course focuses on understanding through the analysis of the modes of address and conventions of representation and interpretation commonly associated with performing and screen arts culture. Professional Development 2 (PASA6902) 15 credits (0.125 EFTS) To enable students to utilise a range of concepts and skills, including business and professional practices, that will enhance their ability to operate independently in the creative industries. Dance Practice 3A (PASA7223) 30 credits (0.25 EFTS) To enable students to confidently and critically participate in a variety of creative processes, choreographic collaborations and teaching scenarios; while developing the students’ ability to apply critical judgement to creative decisions. This course employs a noho marae to allow students to evaluate and develop responses to cultural/political perspectives as an emergent creative arts practitioner. Dance Practice 3B (PASA7224) 45 credits (0.375 EFTS) To enable students to gain the confidence to create, critically examine and realise a personal practice, specific choreographic projects and dance performance. This course focuses on enabling students to demonstrate how these concepts contribute to their personal voice as a creative artist/practitioner. Contemporary Dance Techniques 3 (PASA7225) 15 credits (0.125 EFTS) To enable students to articulate a personal methodology for technique and training while consolidating a body of advanced theories, concepts and techniques relating to contemporary dance practice. Professional Development 3 (PASA7902) 15 credits (0.125 EFTS) To enable students to transition into the industry by acquiring advanced professional development skills. This course focuses on setting personal and professional goals for academic and professional achievement as well as the business and management practices associated with the performing and screen arts profession. Motion Graphic Design (DACA6321) 15.0 credits (0.125 EFTS) The aim of this course is to investigate creative and communicative possibilities offered by motion graphics in a time-based media context. Students will investigate and analyse contemporary practices and trends in time-based media in order to create, plan and produce a well-developed narrative sequence using digital workflows. Skills in Screen Directing 2A (PASA6253) 15 credits (0.125 EFTS) To introduce students to specialised theories, concepts and techniques for directing. This course focuses on enabling students to practically engage with skills in directing for screen media. Skills in Screen Directing 2B (PASA6254) 15 credits (0.125 EFTS) To enable students to extend specific skills, knowledge and practices for screen directing needed to achieve standards that enhance creative decisions. Writing the Short Film (PASA7257) 15 credits (0.125 EFTS) To acquire the theoretical, creative and technical skills required to develop short scripts for the screen (or associated medium).